Prevent wind damage with an automatic wind sensor which will close the awning when it gets too windy. 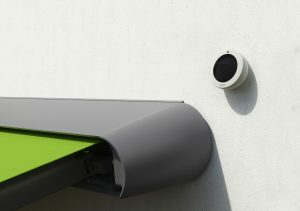 Or if you want protection from the sun, our clever sun sensor will automatically open the awning when it gets too hot. Another type of protection from the wind, the Awning Vibration Sensor will detect vibrations from high winds and automatically retract the awning to help prevent damage to the awning fabric and frame. 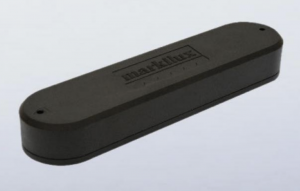 Operate your markilux awning at the touch of a button with the markilux hand-held remote. 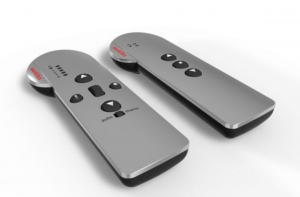 Choose from 2, 4 or 5 channels and enjoy the ergonomic design and attractive styling. 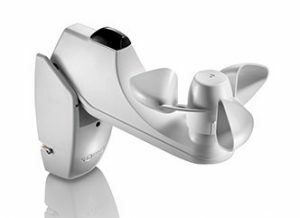 The markilux Vibrabox Wind Sensor reacts to vibrations in order to detect when it is too windy and automatically retract the awning to prevent damage. 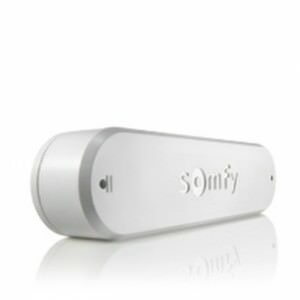 The wireless transmitter is designed to be fixed to the inside or outside of the front profile of the awning. The Sunis Sun Sensor will detect when the sun is too strong and automatically open your awning to provide you with shade. This wireless unit has built in solar cells to provide power and can be fitted to any façade. 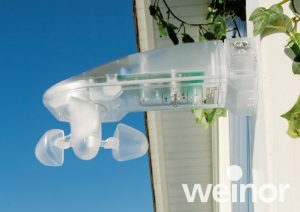 The Weinor BiSens Sensor provides protection from the weather come wind, rain or shine. Your awning will automatically open when the sun comes out and retract when the wind is too strong or it rains. 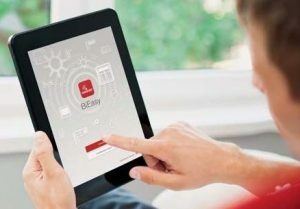 The Weinor BiEasy App allows you to control your awning via a mobile phone or tablet. With up to 15 channels available you can control a number of products from one place. 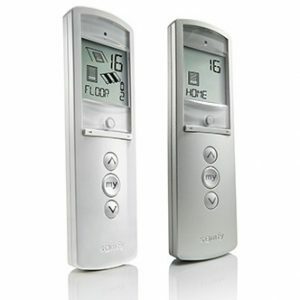 The Weinor BiEasy Hand Held Remote Control allows you to open or close your awning at a touch of a button. The radio transmission is secure and bidirectional for improved performance and the handset is of a high quality design.